If you would like to book a Private Tasting Experience, reservations must be made a minimum of 48 hours in advance. When you visit the Tasting Room you will have the opportunity to taste 2 wines complimentary of charge. We do offer several limited-production wines for a fee of $2 per taste but refund that fee with $40 purchase. We do not offer tours of the winery at this time. Dogs are allowed on the premises outdoors on a leash but we reserve the right to ask you to remove your pet if there is any disruption. 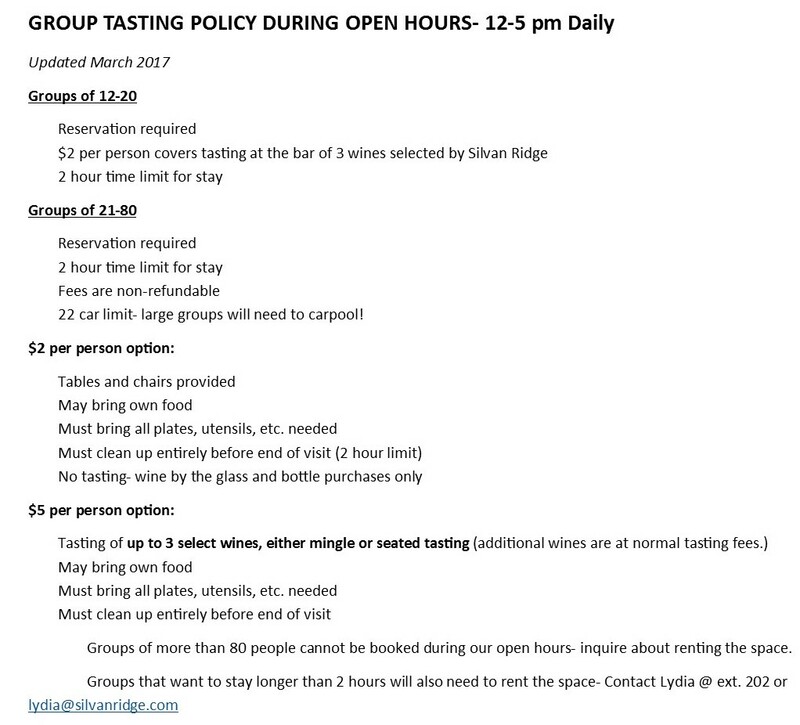 Groups of 12 or more require an appointment and may incur a Tasting Fee. All ages are welcome, but of course you must be 21 or older to taste. Minors are not allowed on the premises after 8 pm when open to the public. Planning on coming out as part of a celebration, such as a birthday or bridal shower? Arrangements must be made in advance by calling Lydia at (541) 345-1945 ext. 202. Discover the true taste of Oregon with our impressive variety of wines through one of our flexible, affordable wine clubs.